Last year we bought a Nest Thermostat and it’s funny how it’s the same time this year we are having an A/C problem With temperatures rising into the 90’s in here in Florida, we can’t afford for our A/C unit to breakdown. Over the weekend, we noticed the A/C unit was cutting of at least once a day if not twice. Our Nest unit was giving us an error message that the unit was not getting power. 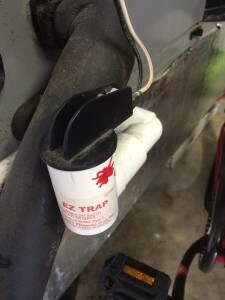 Hubby and I went out to the garage unit and pulled out the safety float switch. This is a device that, when water is too high in the drain pan, the water floats the piece up and in doing so, cuts off the unit. This is to avoid the drain pan overflowing and flooding into your home. After putting the float switch back in place, the unit cut back on. So we knew we had a problem with the drain pan not draining properly. 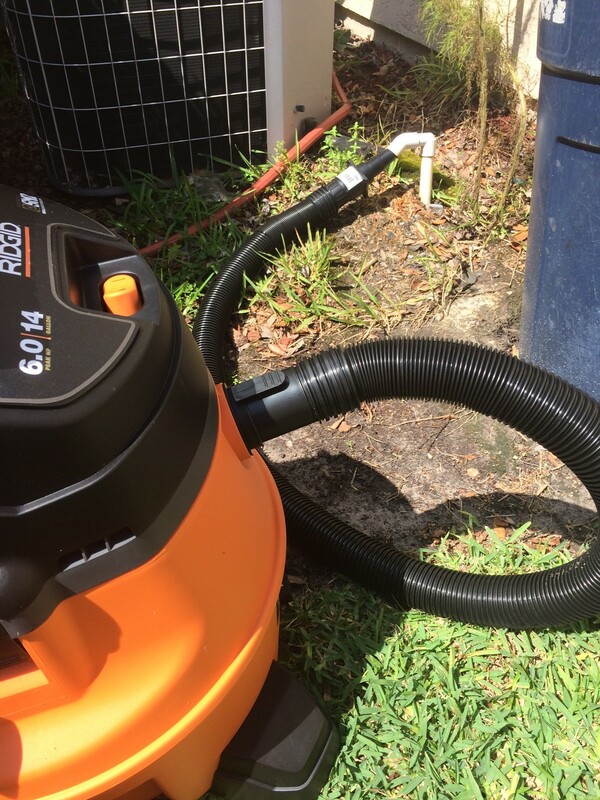 Cleaning air conditioner drain line is the next step. Now I am NO EXPERT, but I like to do simple fixes at home before I call out a tech. 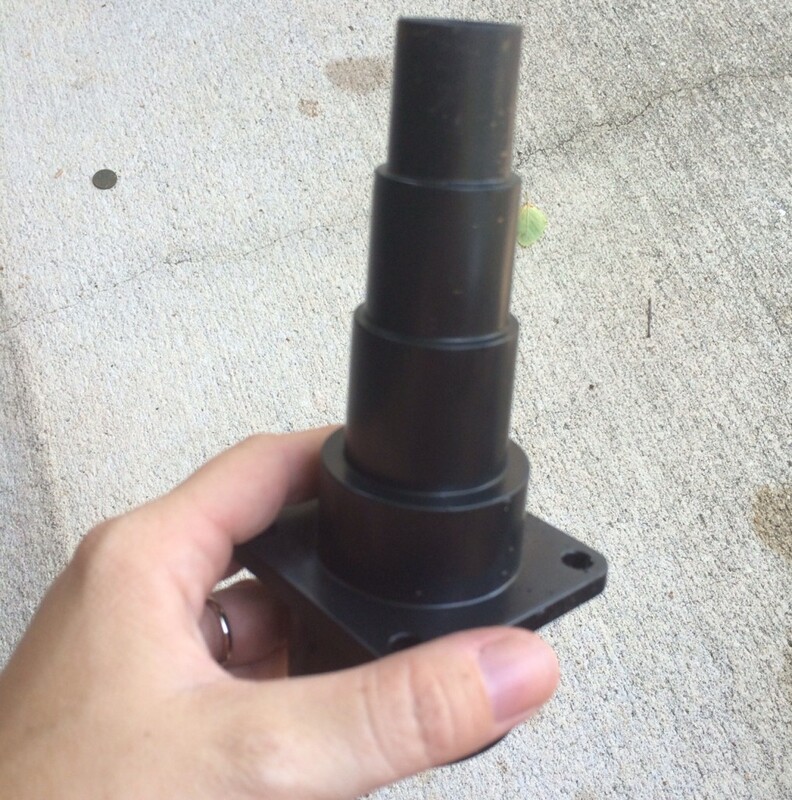 Monday morning I went to home depot and purchased a universal tool adaptor for our wet/dry vacuum. It was time to clean out the drain line. This line can get clogged with debris, algae and even critters. It’s good to clean this line out at least once a year and pour a bleach water solution down the line to keep algae from building up. This tool is great for fitting into different size pipes. 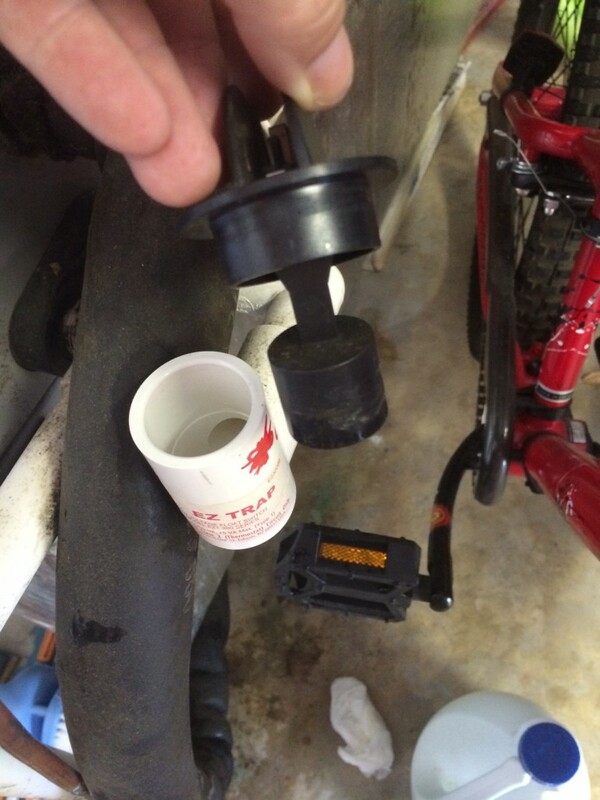 I attached this to the wet/dry vacuum hose and connected the other end to the outside drain line. This should be easy to find. It’s usually near the outside unit and it’s sticking out of the ground. I turned on the vacuum and ran it for about 3 min. When I was done, I had some nasty looking water in the vacuum. It’s hard to see it in this picture. 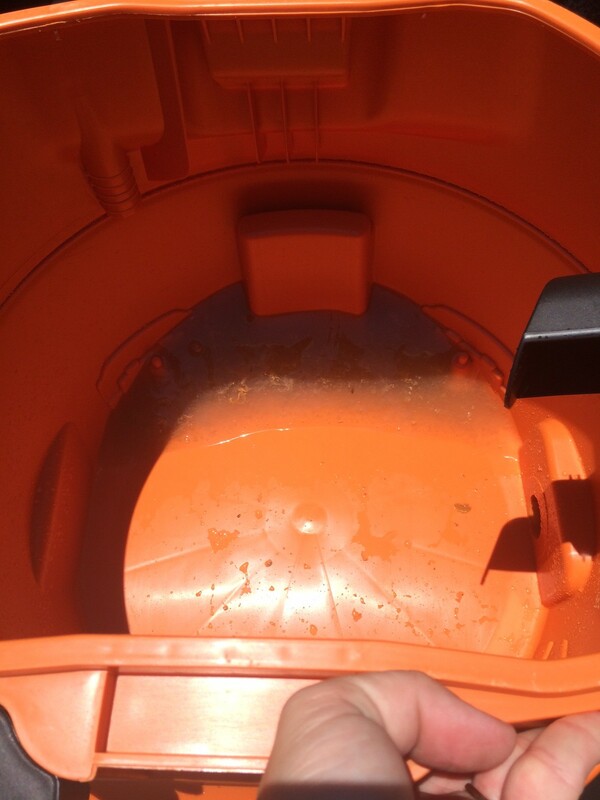 After you’ve sucked out all the nasty stuff in the drain, remove the vacuum and head back into the indoor unit. In our case, inside the garage. I then poured approx 1 cup of bleach down the drain line and followed it with 2-4 cups cold water. I put the float switch back on and the got the a/c running again. I’m happy to say it’s been over 24 hours and it has not powered off the system since I cleaned out the drain pipe. 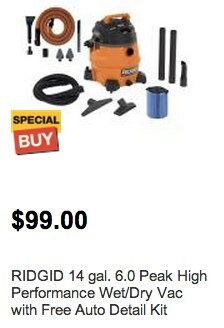 The Rigid wet/dry vacuum we have is part of a current special buy at home depot. You can buy online and pick up at your local store.